Vermont Maple Open House Weekend is March 23 & 24, 2019. Don't Miss Out! Plan now! Don’t miss it! March is maple sugaring time. Come to Vermont Maple Open House weekend! Vermont maple syrup makers open their sugar houses to the public March 23 & 24, 2019.
all the grades of syrup. But that’s not all. Taste maple everything, including sugar-on-snow, maple donuts, maple candy, maple cream, and my personal favorite – maple ice cream!! Learn all about the process that produces this liquid gold. It’s not too late to book your visit. When you get here, we’ll map out a route just for you. If you desire, we can even get you to distilleries and breweries for maple spirits and craft beers. Yes, that’s what we said – maple booze! You’re going to need some serious trunk space for this trip. You are going home with the mother lode! When you return to Rabbit Hill Inn, there will be plenty of maple goodness waiting for you. From afternoon sweets, to breakfasts featuring local Vermont maple syrup. Or may we interest you in a maple martini? Don’t miss out on this. It only happens in late March. And don’t be surprised if you smell the sweet maple aroma in the air. Drive away from the typical stuffy city air for the clean crisp sweet air of Vermont. It just doesn’t get sweeter than this. Where to go to for Vermont Maple Open House Weekend? Here is a map of all the participating Vermont maple sugar farms and sugar houses. 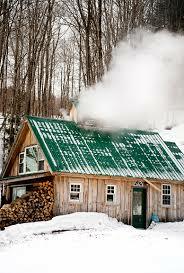 Participating Vermont Maple Sugar Houses are everywhere!!! Many are conveniently close to Rabbit Hill Inn. Plan your getaway now. March 23 & 24 2019. This entry was posted in General, Things To Do, Uncategorized and tagged Braggs maple farm Vermont, Goodrich maple farm Vermont, how to make maple syrup, information about Vermont maple open house weekend, map of vermont maple syrup farms sugar houses, maple craft beer, places to stay on Vermont Maple Open House Weekend, real vermont maple syrup, tour vermont maple syrup farms, vermont maple cream, Vermont maple distilleries, Vermont maple open house weekend, vermont maple sugar houses, vermont maple syrup farms, where are vermont maple sugar houses, where are vermont maple syrup farms, where to get vermont maple butter, where to get vermont maple candy, where to get vermont maple ice cream, where to see maple boiling in Vermont, where to see maple syrup being made in Vermont, where to see maple tapping in Vermont, which maple syrup farms are open to the public by leslie. Bookmark the permalink.